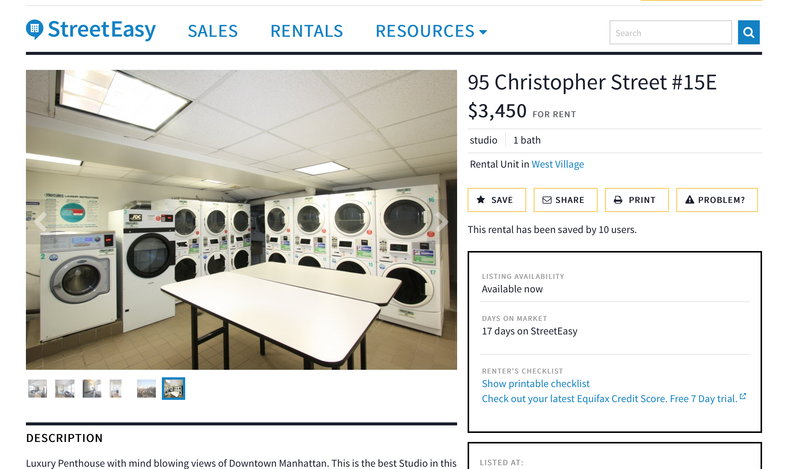 Keep in mind that in NYC, “penthouse” rarely means anything more than “top floor.” The apartment is tiny (click here for the floor plan), doesn’t have air conditioning and the laundry room is in the basement. For that price, I want more. Remember the lovely cond-op Jr. 1 bedroom on 25th Street that had an unreasonably large broker’s fee? Surprisingly the average price on that apartment line hasn’t increased much and in some cases, even at all. 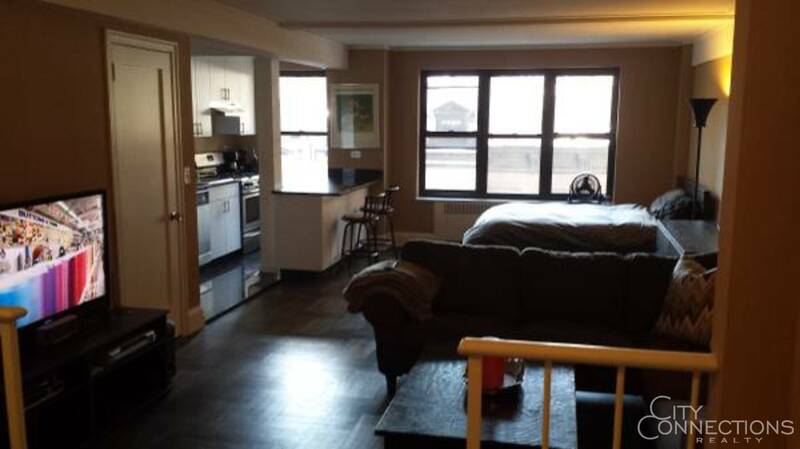 In fact, a true 1 bedroom can be had for $3100–if you’re willing to pony up for the fee. I don’t regret not taking the large 1 bedroom that felt like a nursing home, but again, it’s interesting to note that prices are essentially flat in that building. One seeming trend buster? 250 West 19th Street. Prices at that building have continued going up. I can only guess that churn is part of their strategy. I don’t think I ever posted about the studio I saw at 1 Christopher Street. I remember that it was expensive, but the deal breaker for me was the fact that the oddly shaped studio had one lonely little window. Here’s a similar floor plan from that building. Studios are running $3000+, something I just can’t fathom. Do you recall the rent stabilized place in Murray Hill I considered? I had a lot of questions about the renovation that no one wanted to answer. 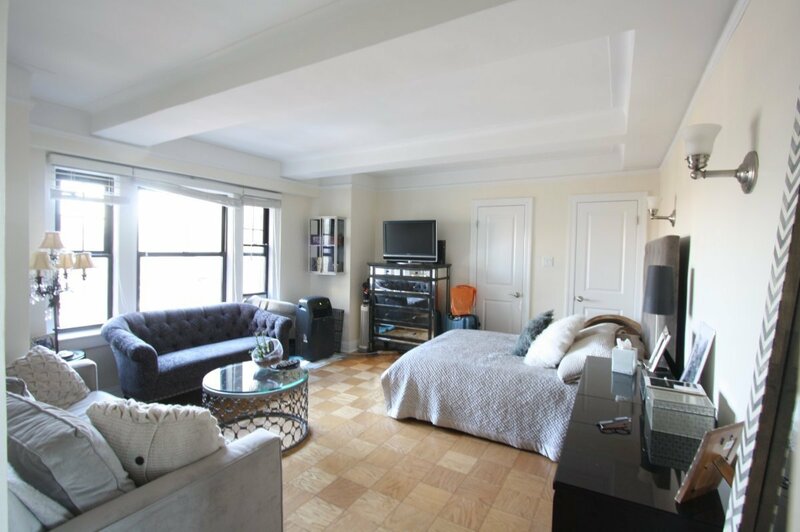 One of the current listings has a great look, however because of the rent stabilization, there’s no guarantee that they would have sprung for that look. All of this is a terrific reminder that my apartment situation is a great one. You did good, Jen. Nice reinforcement.